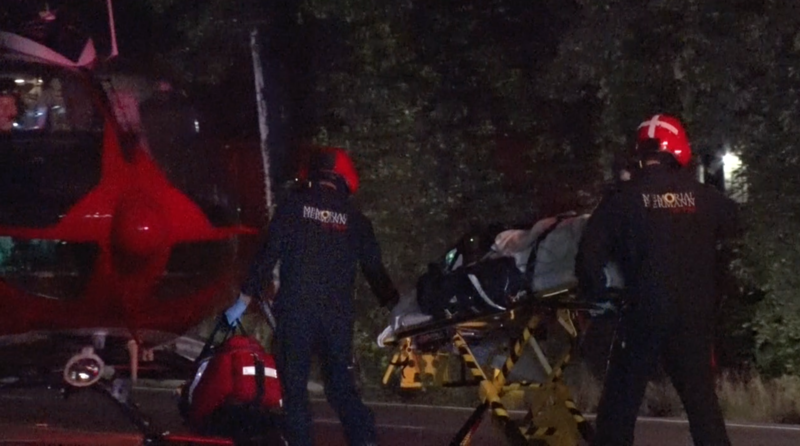 Spring, Texas – April 29th, 2016: At approximately 9:40PM, the Spring Fire Department and Cypress Creek EMS responded to the intersection of Aldine Westfield and Trailing Vine in reference to an auto pedestrian. Units arrived on the scene to find a male in his 40’s laying unconcious in the northbound lanes of Aldine Westfield. The male was transported via life flight with a weak pulse in critical condition. Preliminary information shows that the male was walking in northbound on Aldine Westfield before being struck by a white cadillac. No arrests were made.